One essential piece of running gear for any trail runner is the hydration vest. 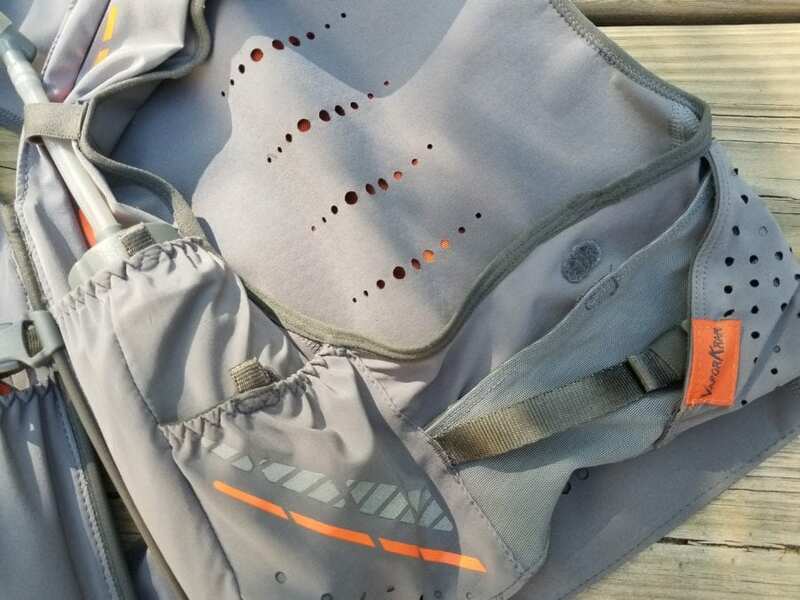 The perfect vest needs to have a comfortable secure fit, a good hydration set up, and plenty of easily accessible pockets for fuel and gear. 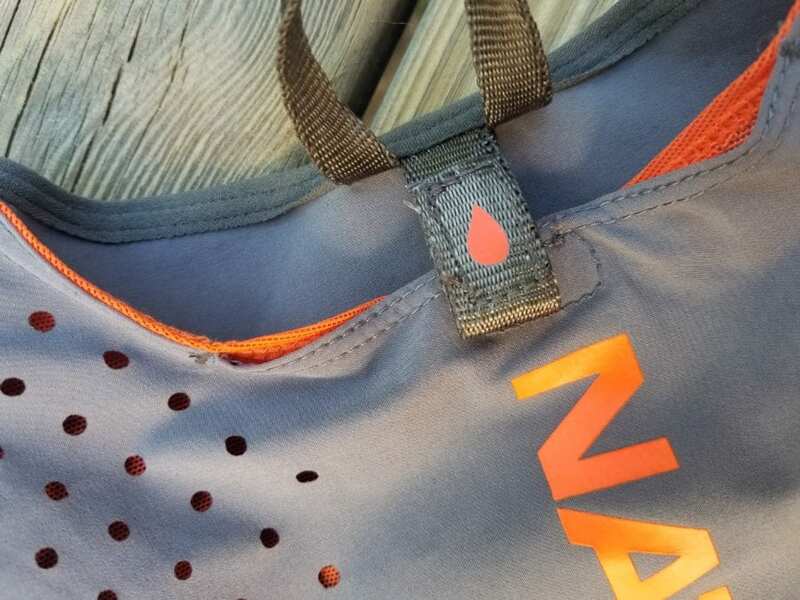 One company that has been perfecting the hydration vest for years is Nathan Sports and this year in collaboration with ultra runner Rob Krar they have designed and produced the VaporKrar 4L Race Vest. 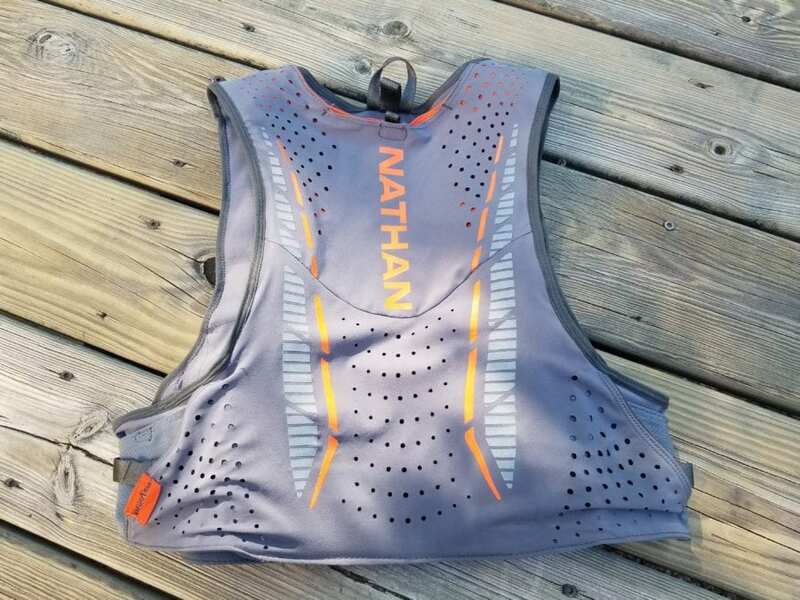 The Nathan VaporKrar 4L is a form fitting vest that offers up 335 cu in/4 Liters of storage and incorporates two 12 ounce soft flasks with extended drinking tubes for hydration. 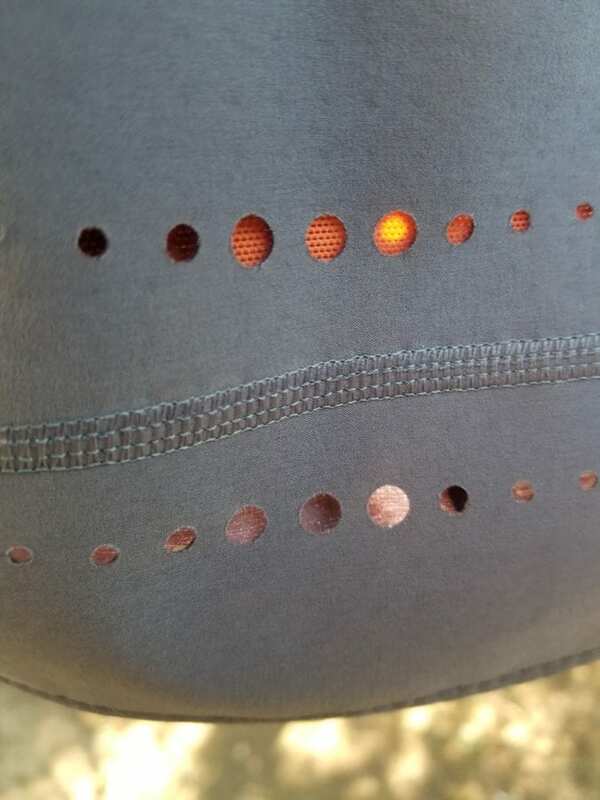 Let’s take a closer look and put this vest to the test. Donning the vest, I noticed the instant difference between this and all other vests I own, was the fit, it was perfectly snug and form fitting. 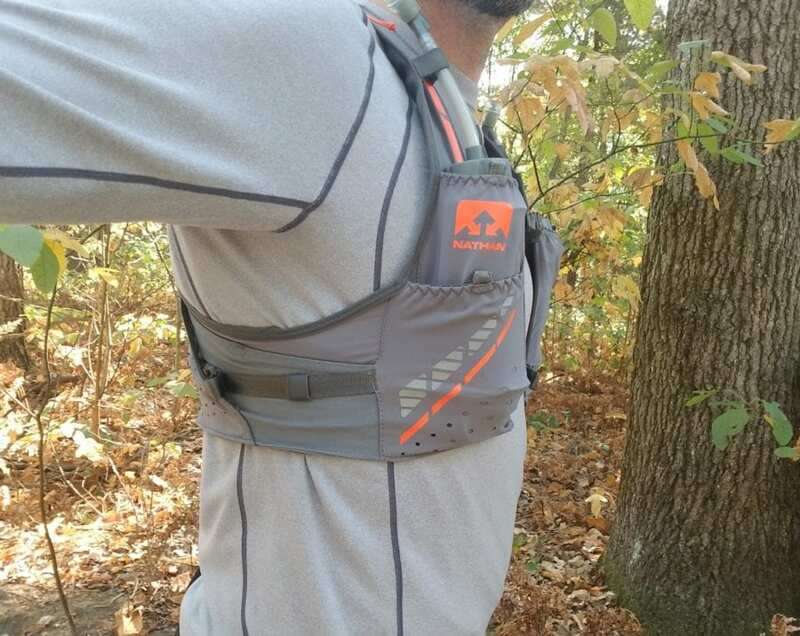 Two front cross straps secure the pack across the sternum and are easy to adjust, even while running. 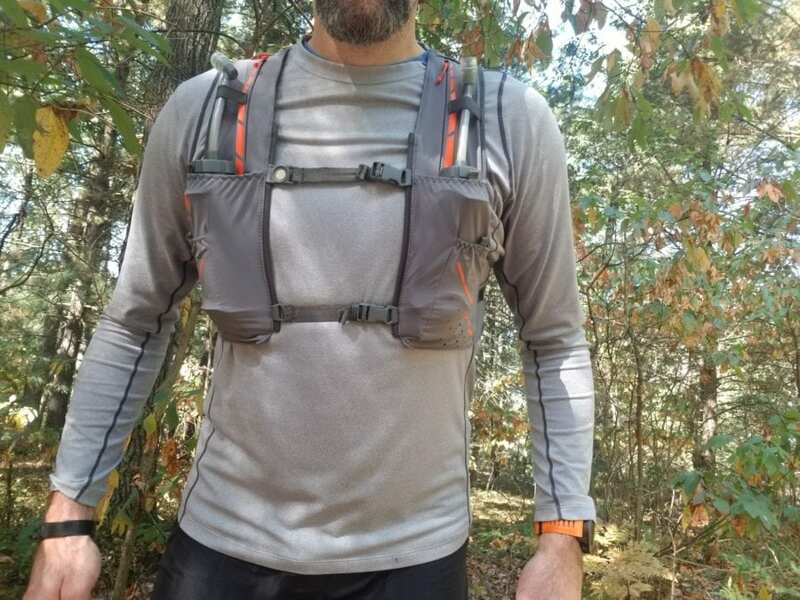 The vest has very few seams and stitching to minimize chafing and is made of a very stretchy breathable moisture wicking fabric, which moves with your body. 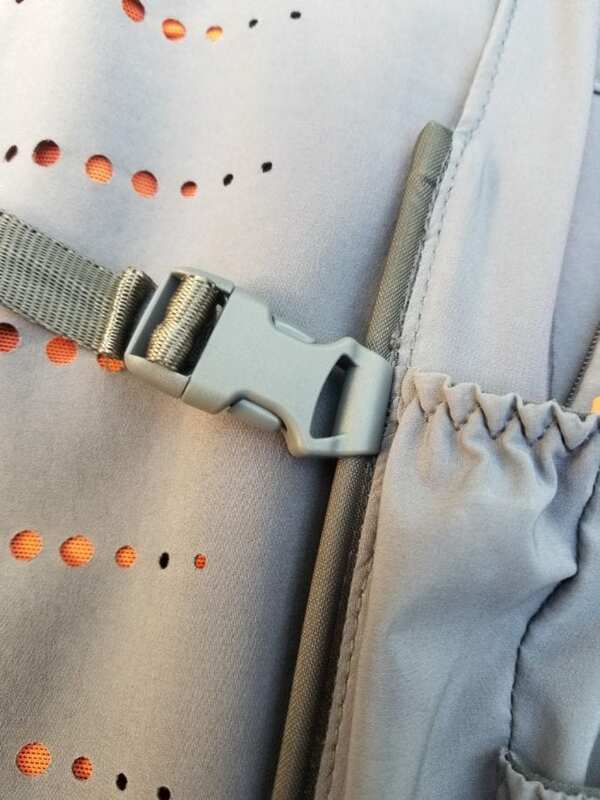 The fabric is exceptionally soft in structure and highly breathable, which helps encourage airflow. 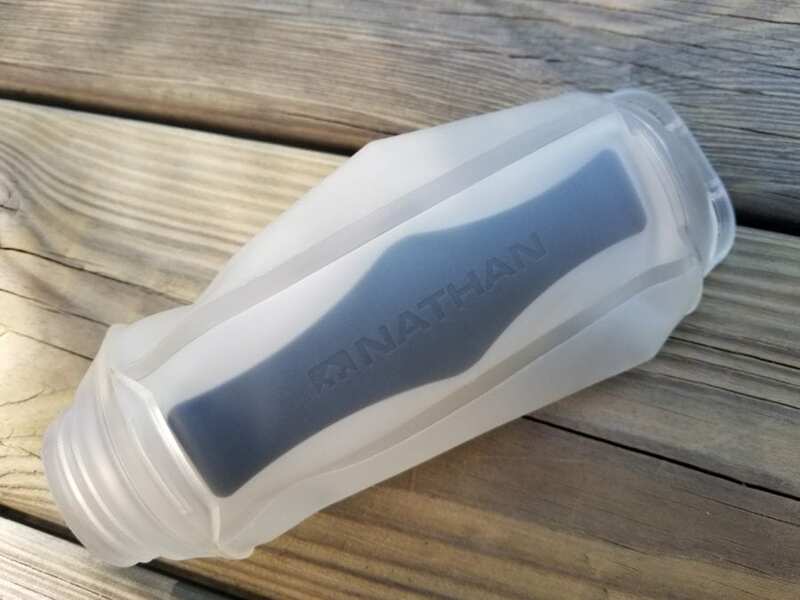 Following the note of air flow, the VaporKrar is also equipped with targeted ventilation zones throughout that allows for maximum heat dissipation from the body. Comfort wise the vest has not given me a moment’s cause for concern, right from the first short test run, too many runs over 2 hours long. There has been no rubbing or chaffing anywhere. 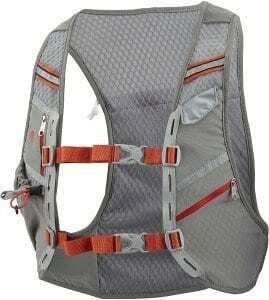 Even when stuffed full or empty this pack conforms to the perfect shape and tightness. 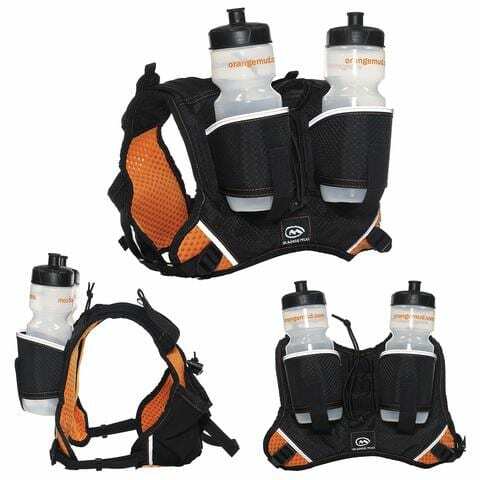 This ingenious design creates a better fit and offers more comfort than any of the other hydration packs I have tested. 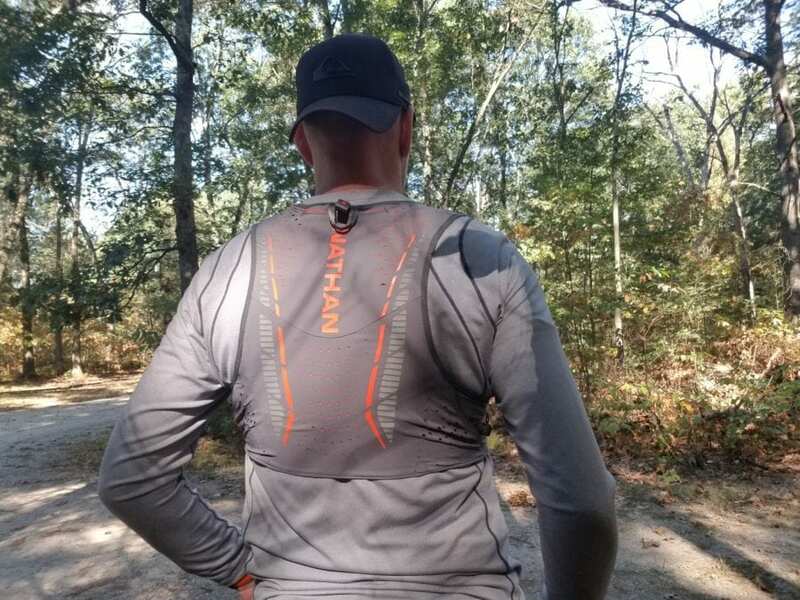 The VaporKrar focuses heavily on maintaining a breathable, shirt-like fit that won’t slosh or bounce for hours on end. I can’t think of a single way they could have made it better. 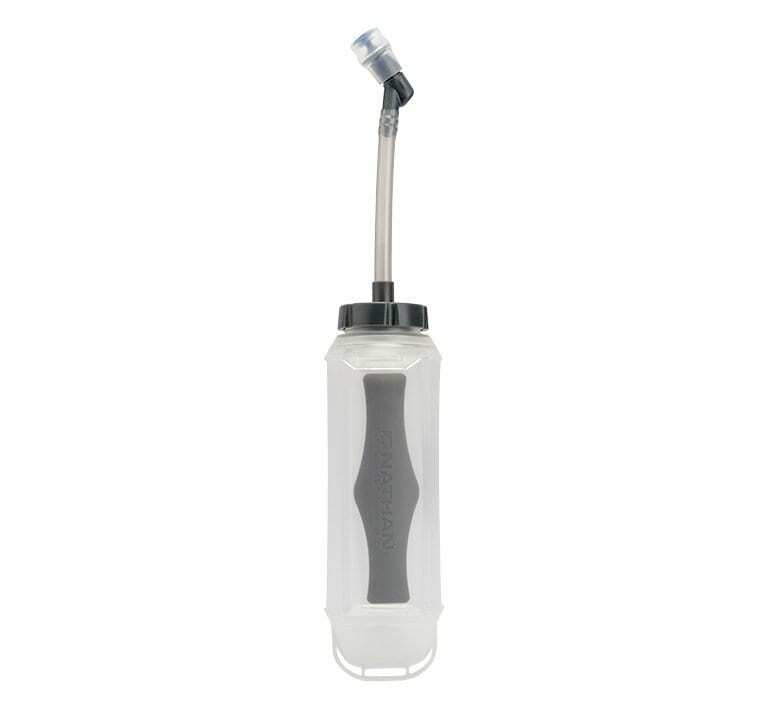 The 4L version of the VaporKrar is supplied with two 12 ounce hand-held soft-flasks. The design of these is very interesting, as they have an extension straw to allow for hands-free drinking. This worked great because the flasks are pliable and conformed to my body, meaning no pressure points. 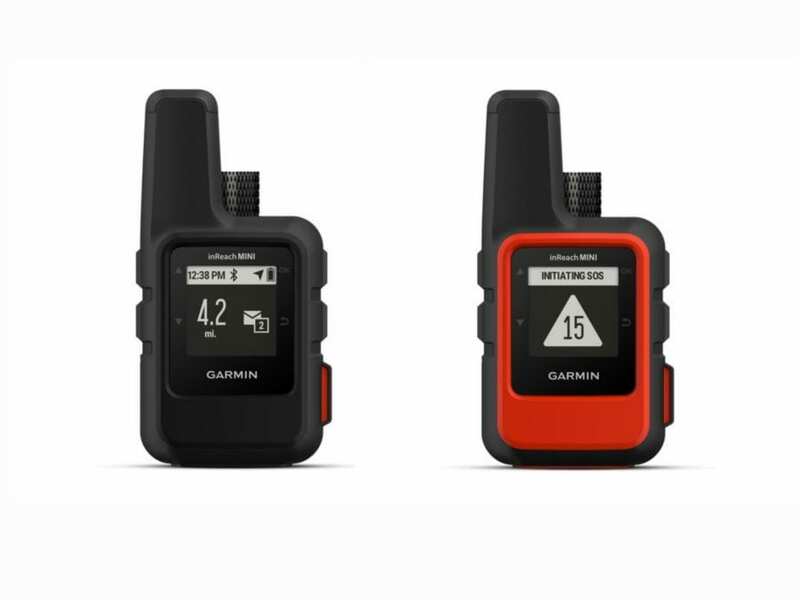 They also balance the weight out nicely when the pack is loaded with gear, and with two of them I was able to have my choice of two different drinks. 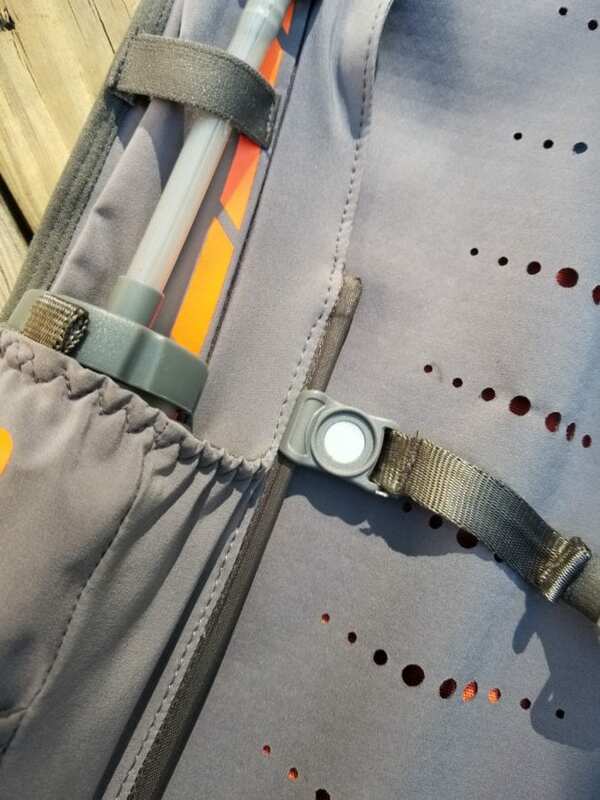 Each of the top of the flasks have extension straws with bite valves attached, which allows you to twist your head to the side, bite the valve, and drink straight from the flask without needing to pull them out of their pockets. This is good thing because quickly getting the flasks in and out of the pockets can be a little challenging. The only small complaint I have about the VaporKrar is the bottles themselves. The lids have to be screwed on exactly right or they will leak. 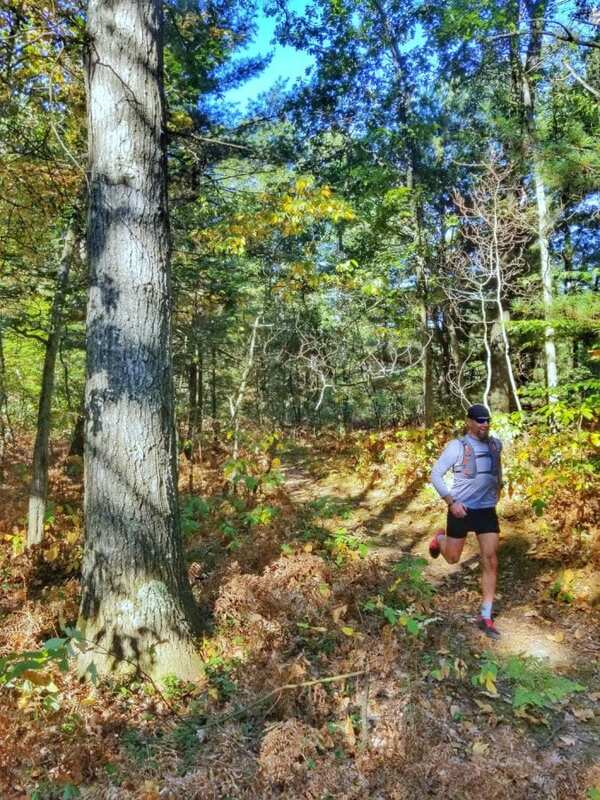 Once getting passed the finicky lids, the hydration system performed well and held just enough water for all of my runs. 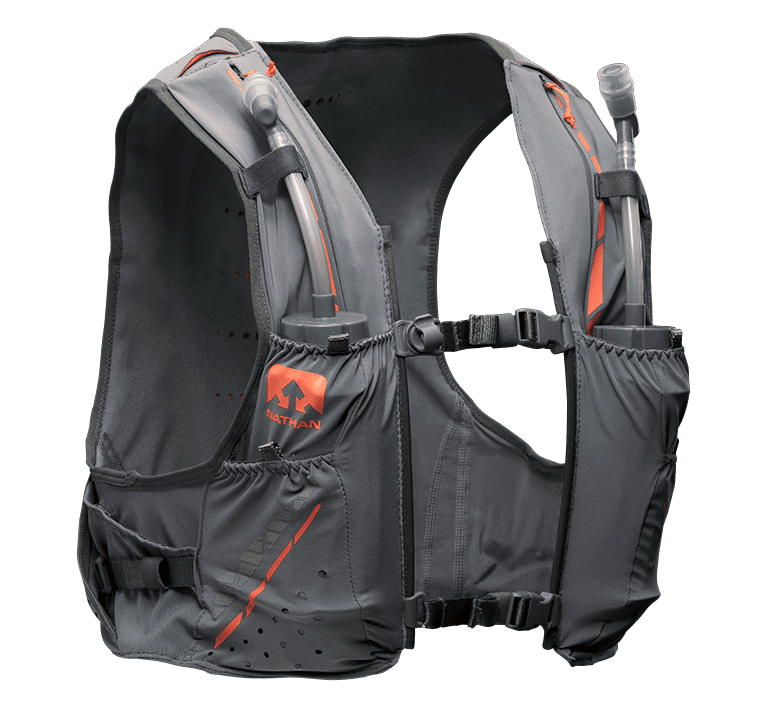 If for some reason the 24 ounces of fluid is not enough hydration, the vest can carry up to a 1.5 liter reservoir bladder in the back, or you can even upgrade the front bottles for even more carrying capacity. When it comes to storage this vest is a winner. I especially loved the rear kangaroo pouch, which is essentially one giant elastic pocket that resides on the back and can be stuffed with just about anything from either side. 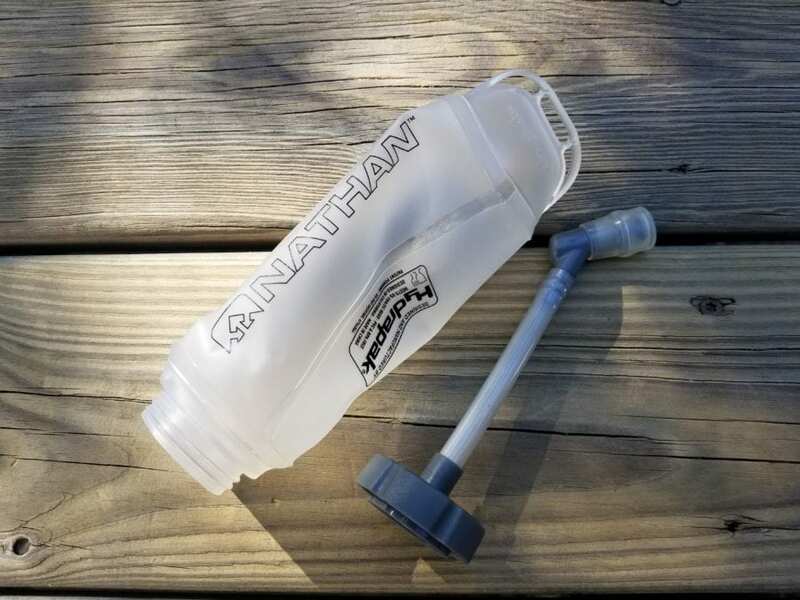 One of my favorite uses for it is to hold a hard water bottle when the soft flasks were dirty. Versatile and convenient! 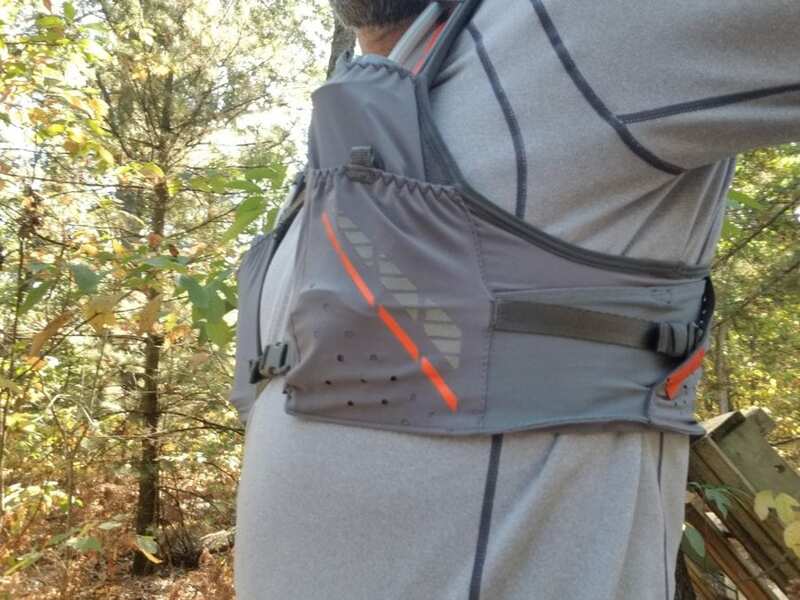 The vest has the two elastic soft flask pouches, 2 front elastic accessory pockets, 2 top front zippered phone/nutrition pockets and 2 side food/trash pockets. 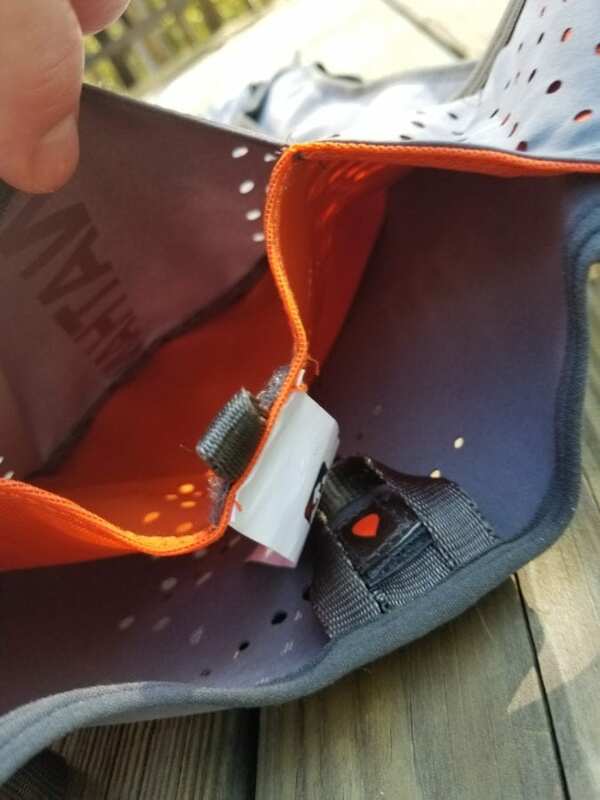 To store extra clothing and gear there is a velcroed back pouch, that resides just above the kangaroo pouch. Should you need more room there is the entirety of the optional hydration bladder pouch left to store anything that didn’t fit. Overall the VaporKrar offers up a ton of usable storage options! 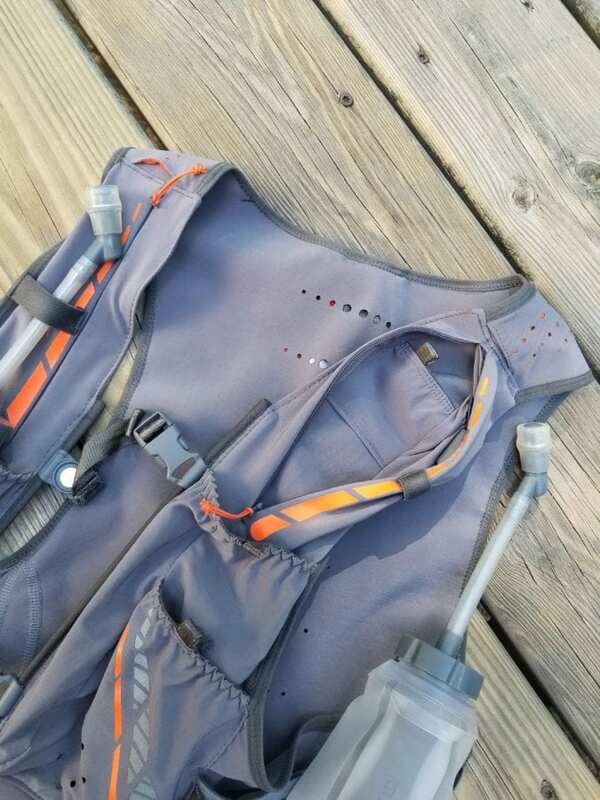 The specific body mapped fabric construction on the VaporKrar provides the best fit of any vest I have tested and is easily the most comfortable, one of the most important qualities to a great vest. 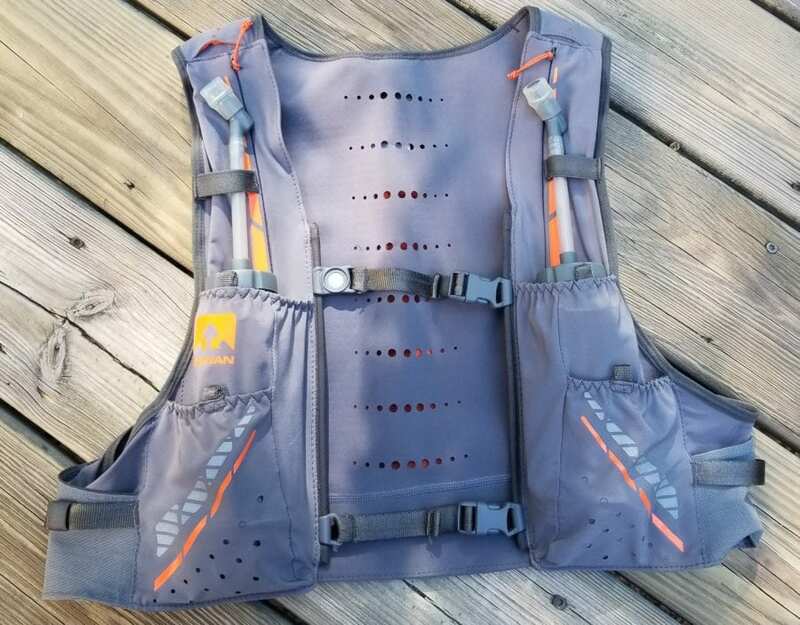 I would go so far as to say that over the many years of hydration vest testing, I think this is one of the most innovative and refined vests I have tested.